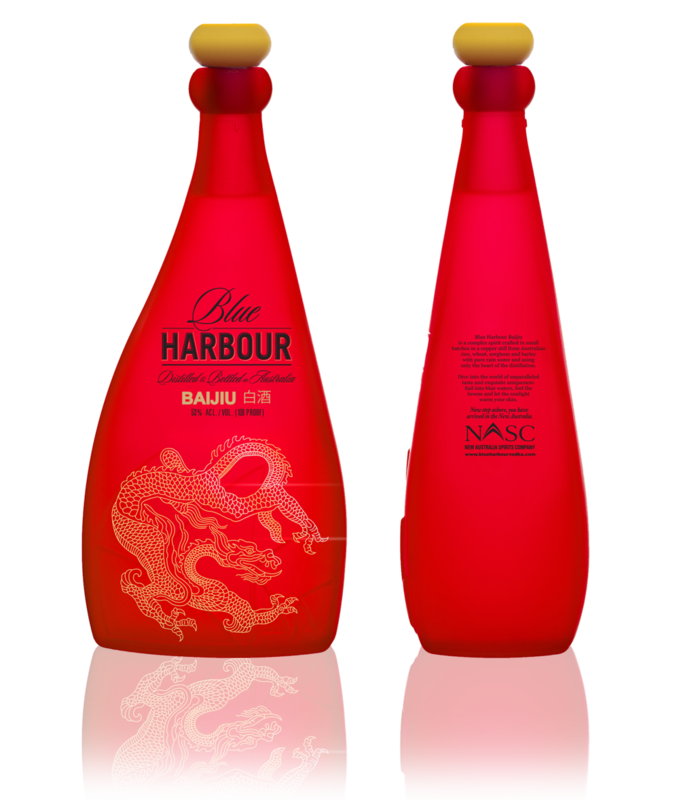 Blue Harbour Spirits part of the NASC Group range of luxury brands is proud to introduce Blue Harbour Baijiu, the first Baijiu produced 100% in Australia with Australian ingredients and Australian pure rain water. While respecting the Chinese fermenting and distilling tradition, Blue Harbour Baijiu is unique in taste, feel and purity. Baijiu which literally translated means white alcohol or liquor is a strong Chinese spirit which has been made for over 5000 years. Generally between 40 and 60% and made from several types of grain including wheat, millet barley, sorghum and high glutinous rice. The process is characterised by a double semisolid-state fermentation using fungi as the main microbial starter for the sacharification. This is a typical feature of spirits produced in the Far East. Baijiu is the largest spirit consumed in China by volume and value. With several brands fetching hundreds to thousands of US dollars per bottle, Baijiu is the ubiquitous participant in the most prestigious and important social and business occasions in China. Blue Harbour Baijiu 53% Alc. by Vol. / 106 Proof will be released in the fourth quarter of 2019.